Earlier this year, Rebecca Liebman impressed a panel of high-profile investors, including Ashton Kutcher and Salesforce chief executive Marc Benioff, at a SXSW pitch competition. She won and Benioff wrote her a check for $200,000 on the spot. Today, she’s announcing that her educational fintech startup LearnLux has closed a $2 million seed round from Kutcher’s investment firm Sound Ventures, Benioff, Underscore VC and former Wealthfront CEO Adam Nash. 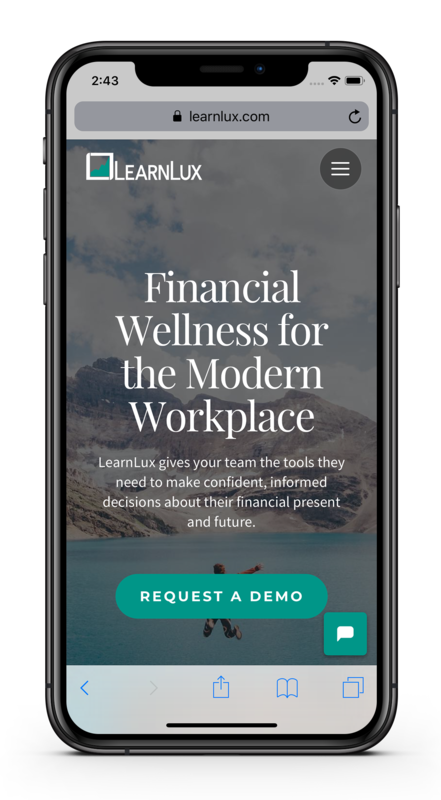 LearnLux operates under a SaaS model, partnering with businesses to offer access to its digital financial wellness product, which helps employees make important financial decisions. The Boston-based startup was founded by Liebman, 25, and her brother, Michael Liebman, 22, in 2015. LearnLux provides interactive learning tools and educational content created in-house to guide workers through their 401k, health savings accounts or stock options, for example. Rebecca says they’ve signed on 10 customers since launching in September. “There are all these financial decisions you have to make and we allow you to have an interactive experience online where you can playout what those decisions will look like,” she said.